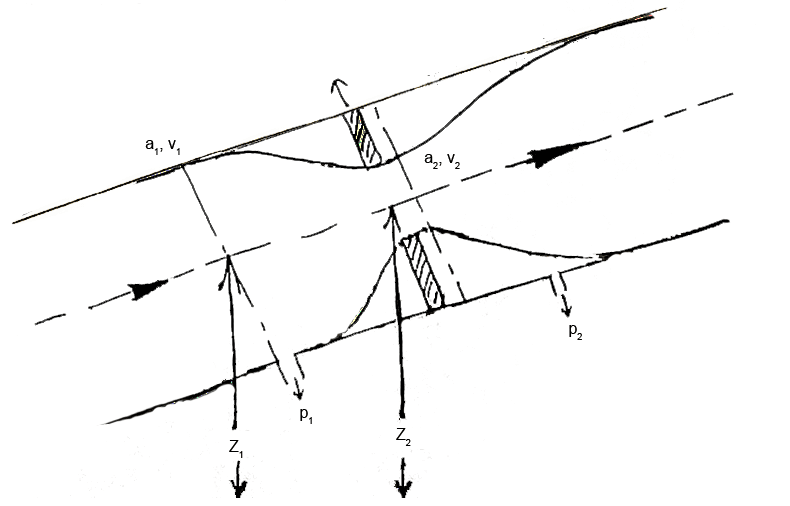 Fig shows schematic representation of a one-dimensional flow system with restriction, Showing upstream 1 and downstream 2. Assume a one-dimensional flow in through a restriction (venturi) fitted in a pipe. p, a,v,z are pressure, area, velocity, and elevation of fluid at a point respectively. According to the Bernoulli’s principle of conservation of energy total energy (total head) remains constant. The first term of the above equation is called potential head or potential energy. The second term is called kinetic head or KE energy. This relationship between velocity and pressure provides the basis for the operation of all head type meters. 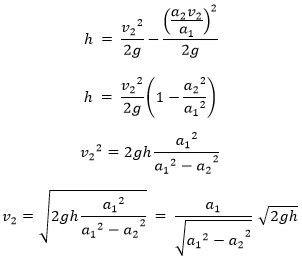 The above equation gives theoretical discharge in ideal condition. The actual discharge will be less than theoretical discharge. Case 1: differential manometer contains liquid heavier than the liquid flowing through the pipeline. Case 2: if the differential manometer contains lighter than the fluid in the pipeline.